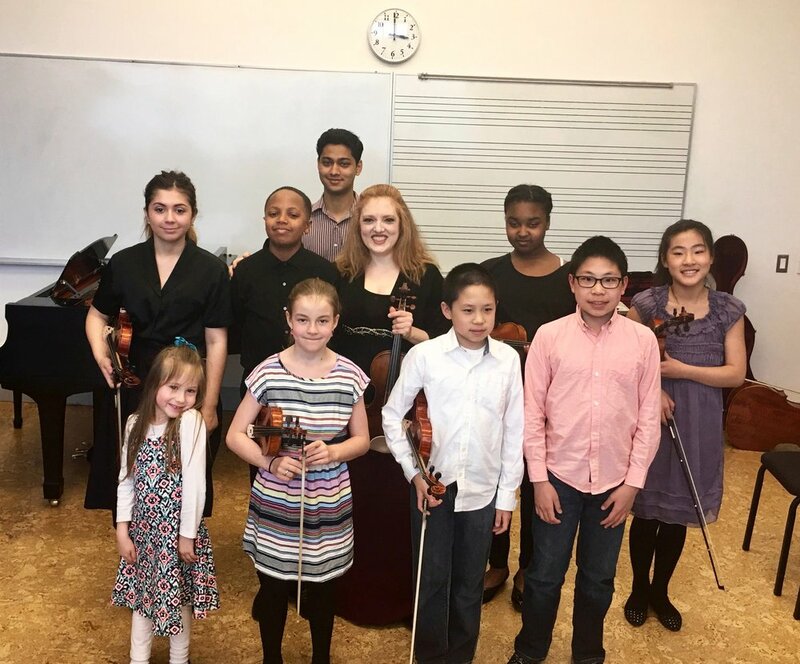 A few lucky students had the opportunity to perform for internationally acclaimed violinist Rachel Barton Pine! The students, parents, and teachers all learned so much from Ms. Pine! Angela learns about some of the odd ways violinists must contort themselves! Angela and Rachel work on Minuet 1 by Bach. Nothing better than hands on learning from one of the greats! Alice performs the Seitz Violin Concerto in G Major. The string quartet learns how to be sensitive ensemble players from Ms. Pine.